China’s economic growth in 2018 dropped to its lowest in 28 years, posting overall yearly growth of 6.6 percent as the world’s second-largest economy faces pressure from weakening domestic demand and ongoing trade tensions with the United States. Fourth-quarter gross domestic product (GDP) grew at the slowest pace since the global financial crisis, easing to 6.4 percent year-on-year, as expected, from 6.5 percent in the third quarter, the National Bureau of Statistics said Jan. 21. This has brought China’s yearly GDP to its lowest point since 1990. Since then until 2017, it had posted yearly growth rates of over 7 percent. 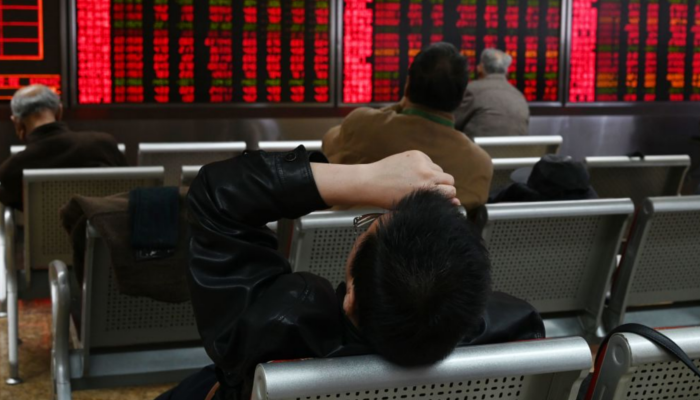 Growing signs of weakness in China—which has generated nearly a third of global growth in recent years—are fueling anxiety about risks to the world economy and are weighing on profits for firms ranging from Apple to big carmakers. Policymakers have pledged more support this year to reduce the risk of massive job losses but have ruled out a “flood” of stimulus such as what Beijing has relied on in the past, which quickly juiced growth rates and left a mountain of debt. With support measures expected to take some time to kick in, most analysts believe conditions are likely to get worse before they get better. They predict a further slowing to 6.3 percent this year. Some China watchers believe actual growth is already weaker than the official data suggests. Despite a raft of policy easing steps so far, December data released along with GDP showed continued weakness across broad areas of the economy at the end of last year. Factory output rose unexpectedly to 5.7 percent from 5.4 percent but it was one of the few bright spots, along with a stronger services sector. Other data on Jan. 21 showed that investment and retail sales continued to languish, while the jobless rate edged higher. Fixed-asset investment rose 5.9 percent in 2018, the slowest in at least 22 years, as a regulatory crackdown on riskier financing and debt weighed on local government spending early in the year. Property investment is also looking wobbly, with analysts waiting to see if Beijing will risk loosening restrictions on home buyers that have kept a potential housing bubble in check. While retail sales growth picked up marginally in December to 8.2 percent, the consumer strength gauge is about the weakest it has been in 15 years. Auto sales in the world’s biggest car market shrank for the first time since the 1990s. The December data also showed that China’s manufacturing activity contracted for the first time in 19 months. China’s manufacturing purchasing managers’ index (PMI) dropped to 49.4, the weakest reading since February 2016. A PMI number below 50 signals economic contraction. Those figures also showed a decline in new orders, something not seen since June 2016. Analysts have said that the Sino-U.S. trade war, currently in a temporary truce, has affected and will continue to take a toll on China’s domestic demand and job market, if not resolved. Many Chinese media have predicted that the 2019 job market will be the “worst-ever employment season,” according to the Global Times. This comes as a growing number of foreign companies are moving production away from China—some because of the trade war, while others for economic reasons. Apple assembler Foxconn let go of about 50,000 contract workers since October last year at the company’s iPhone assembling factory at Zhengzhou City, the capital of China’s Henan Province, according to a Jan. 18 report by Japanese media Nikkei. Experts have previously called into question the veracity of China’s official economic figures. Research by a University of Chicago assistant professor, Luis Martinez, in 2017 suggests that authoritarian regimes inflate GDP growth rates. Research by Cornell University associate professor Jeremy Wallace in 2016 indicates that provincial Chinese public officials will exaggerate GDP growth rates that they report on to the national government, while analysis on China conducted by Bloomberg in Jan. 2018 suggests that GDP was “probably overstated” at provincial levels between 2011 and 2015. At the same time, Beijing has sought to control the dissemination of sensitive economic data amid its uncertain growth outlook. The Chinese regime recently banned regional authorities from the release of manufacturing activity data. The news came after the country’s export hub Guangdong province stopped releasing PMI data. Government officials said all future manufacturing activity data would be issued by the National Bureau of Statistics. Reuters contributed to this article. Epoch Times staff Emel Akan and Frank Fang also contributed to this article. Just about every economic measure is trending down in China, and not surprisingly, deflation fears are mounting.